Stately hilltop manor on over 2 acres in idyllic McIntosh of Inverness. This Tom Snyder stone masterpiece has Old World charm unsurpassed quality & timeless character. Foyer w/breathtaking views. Gorgeous marble flrs grace entry w/2 bridal staircases leading to 2nd flr. Formal LR harkens back to history & features marble FP, patterned inlaid walnut flrs, & exquisite millwork. Banquet sized DR seats many and has same flooring & millwork. GREAT room with soaring 20' high ceiling & spectacular wall of windows overlooking stone patio w/cement balustrades & sprawling backyard. Millwork is detailed w/built-ins, FP, wet bar & wood flrs. Architect & homeowner made this room the piece de resistance. Study is walnut paneled w/FP & palladium windows allowing for natural light. Expansive first floor master is in keeping with the rest of home. Elevator to 2nd flr gallery & 4 addl bdrms, 2 are en-suites. Back stairwell down to huge rec rm w/wet bar, game room, wine cellar and more. Grand golf course estate backing to Inverness Golf Club on one of the nicest streets in Inverness! This all brick stately home sits atop a hill & has fabulous views from every level including the walkout lower level. There are 10 ft ceilings on the main level but several rooms have ceilings even higher. The family rm has 28 ft high ceilings with a soaring masonry fireplace and both patio and deck access. The elegant dining rm has a marble fireplace and tray ceiling. The sunroom offers panoramic views. The island kitchen is huge & complete with Subzero fridge & Viking appliances. There is a classic first floor den including fireplace, built-ins and coffered ceiling. The master suite is spacious with a large sitting area & windows on three sides. The beautifully remodeled master bath has an air-tub, luxury steam shower and separate vanities. The lower level has room for everything including a beautiful rec rm w/fireplace and bar, game rm, kitchenette, 5th bedrm, bath & more! Spectacular Dream Home + Excellent location, Blue Ribbon Fremd HS, near Train & HiWays. Over 8000 sq ft Living Space! 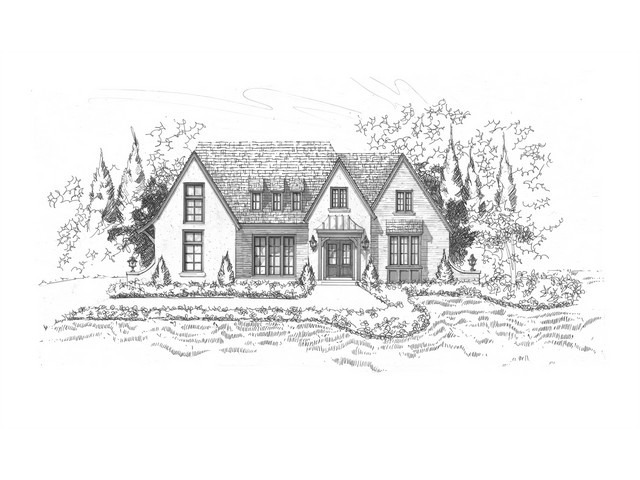 Tom Snyder Custom Home w/ Custom Millwork has All the Bells & Whistles on Acre+ Oasis! Be Wowed by Majestic 2-Story Foyer w/ Custom White Wainscotting. Gorgeous Kitchen out of Better Homes & Garden! Open to Soaring Ceiling Family Rm Boasting White Built-ins & Fireplace. Stunning SunRoom used as Breakfast Rm! Fabulous Paver Brick Stepped Patio! Living Rm Boasts 3 Walls of Windows, Elegant Cherry Built-Ins, & Glass Pocket Doors or use as Study. "Mud Hall" describes spacious back entry room offering Lockers & Pet Space. Kitchen boasts Huge Island, Entertainment Bar, Built-in Home Office Desk, 6 Burner Dacor Stove, Walk-in Pantry. Spacious Laundry Rm makes a chore a pleasure. Retreat to Elegant, Trayed Ceiling Master Suite, Luxury Bath & Huge Walkin Closet. Bdrms offer En-suite Baths & Walk-In Closets. Still Need more space? Finish the walk-in Attic. Enjoy Rec Rm, Rare Gem! Great value! 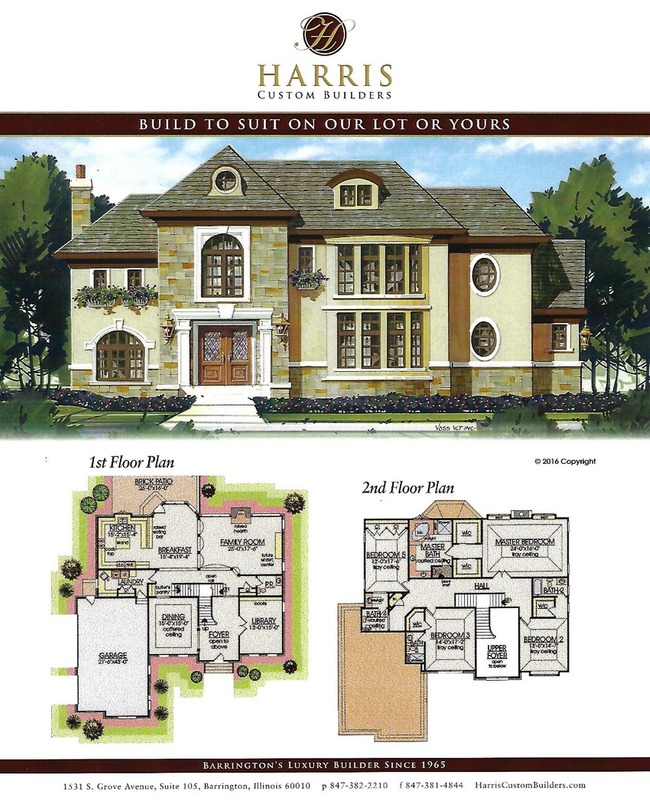 Over 7000SF of living space with in-law possibilities. Private pond location. Light and bright with vaulted ceilings, bridal staircase, full finished walkout basement with wet bar, 2nd kitchen, indoor pool, theater room, 6 car garage. Large kitchen with 42" cabinets, stainless steel appliances. First floor bedroom plus office and library. All bedrooms with private baths. Possible 6th bedroom in walkout. Great size home for large family, in-law arrangement, nanny. Barrington School Dist 220 This is not in foreclosure; never has been.